Ebony’s November cover, with a shattered photo of The Cosby Show’s fictitious Huxtable family, has drawn a lot of praise as well as criticism. It seems as though people, after all these years of drugging and sexual assault allegations against Bill Cosby, still have a hard time separating Cosby from his Dr. Huxtable character and coming to terms with the fact that Cosby may well indeed be a predator. 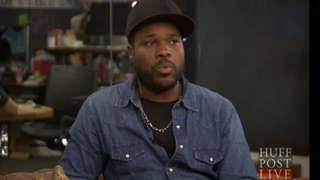 In a recent interview with the Huffington Post, Malcolm-Jamal Warner, who played Theo on The Cosby Show, spoke out about the cover and said he wasn’t too pleased. The actor said that the cover saddened him and that it was sad to see Ebony, as “one of the voices of the black community,” attempt to destroy Cosby’s legacy. Warner admitted that he didn’t read the cover article, but he said it’s the imagery that’s disturbing to him. Well, imagine how disappointing it is to the women who’ve alleged that they were drugged and raped by Cosby to have words such as “liar” and “gold digger” thrown at them. What people fail to realize is that if Cosby was so concerned about not ruining his legacy, maybe he should have done more to protect it—like not drugging or sexually assaulting women. But, of course, this is all alleged. And the approximately 50 women who’ve accused Cosby, all with similar stories, just sat around a campfire one day with NBC executives, who wanted to prevent Cosby from buying the network, and made this all up. That’s sarcasm, for those in the cheap seats.